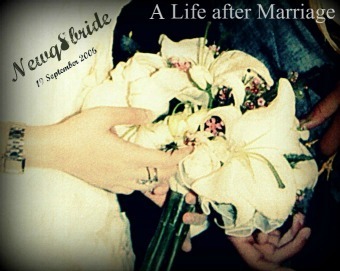 NewQ8Bride : A Life after Marriage: You Keep Asking, What is Crush It Bloggers Circle? You Keep Asking, What is Crush It Bloggers Circle? I would like to share with you some information about Crush it , i know people are wondering , what is this blogger union ? (1) Crush It Bloggers Circle is NOT one of those bloggers union: Crush It Bloggers Circle has been formed for passionate bloggers interested to support Crush It Seminar & Crush It Community – WE ARE NOT PLANNING TO START A UNION OR ORGANIZATION FOR BLOGGERS. This is NOT our intention. Period. (2) Crush It Bloggers Circle is NOT ONLY for selected few bloggers: Our Social Media management team invested time to communicate with most of the bloggers they know; experienced, advanced and new bloggers – WE WELCOME ALL BLOGGERS TO BE PART OF CRUSH IT! If you’re blogger, you can APPLY HERE Now! (3) Crush It Bloggers Circle is NOT a blogging regulator: Blogging is an open highway for everyone. The minute you start a blog and a post, you’re welcomed to join millions of bloggers worldwide. You might have a story, thoughts, talents, mission, or passion to share it with the world. NOBODY IS ALLOWED TO SAY YOU’RE OFFICIAL OR NONOFFICIAL BLOGGER! You’re a blogger – keep crushing. (4) Crush It Bloggers Circle for Hall of Fame: We’re paying it forward by delivering great content, strategies and tactics for our supporting bloggers in Crush It. Experienced bloggers knowledge, skills and experiences is adding massive added value for new bloggers and Crush It launch as well. WE ARE DISCOVERING NEW TALENTED BLOGGERS IN THE CIRCLE – THEY ARE JUST STARTING OUT! You’ll READ featured interviews with The Insiders of Crush It Bloggers Circle Soon!